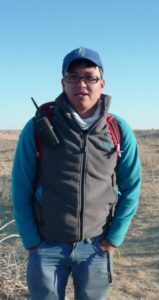 depuis 2015 : Ouzbékistan, participation et co-responsabilité de la mission MAFAC (dir. : F. Brunet et M. Khudzhanazarov). 2007-2014: Ouzbékistan, participation à la mission MAFANAC (resp. : F. Brunet et M. Khudzhanazarov). 2011-2012: Kazakhstan, participation aux Geophysical Studies (resp. : UNESCO, Japan Trust Fund Program), Almaty. 2010 : Ouzbékistan, participation à la mission franco-ouzbèke (resp. : C. Rapin, M. Khasanov), site de Sangirtepa. 2008-2009 : Ouzbékistan, participation à la mission internationale (resp. : A. Krivoshapkin, U. I. Islamov et D. Fals), site de Kul’bulak. 2004-2007: Ouzbékistan, participation à la mission ouzbèke (resp. : B. Matbabaev), site de Munchaktepe. H. Hoshimov, Stone tools of Keltaminar(in russian). In: Uzbekiston tarihining bolzarb muattolari esh tadkikotchilar talkinida :55-59. Samarkand. H. Hoshimov, New studies late paleolit in Uzbekistan (in uzbek). In: Uzbekiston tarihining bolzarb muattolari esh tadkikotchilar talkinida : 11-16. Samarkand. H. Hoshimov, New information about paleolit in Kizilkum In: Uzbekiston tarihining bolzarb muattolari esh tadkikotchilar talkinida: 27-32. Samarkand. H. Hoshimov, History of weaving in northeast areas of the Central Asia (Antiquity and middle ages) Statutes of the International Association for the Study of Silk Road Textiles/ 12-14- October/ Hangzhou : 288-289. H. Hoshimov, The studying of ancient and medieval history of Fergana valley (The international conference: Andizhan, on October, 9th, 2013). Arkheologicheskie issledovanija v Uzbekistane (Archaeological studies in Uzbekistan) 9. H. Hoshimov et B. Kh. Matboboev, Archaeological study of Mingtepe settlement (in Russian). Arkheologicheskie issledovanija v Uzbekistane (Archaeological studies in Uzbekistan) 8. F. Brunet, M. Khudzhanazarov, H. Hoshimov, New data on chronology of the Kel’teminar culture in Uzbekistan (in French). IMKU (History of the Material Culture of Uzbekistan) 38: 118-124. M. Khudzhanazarov, B. Saifullaev, F. Brunet, H. Hoshimov et K. Rakhimov, New data on the Palaeolithic of the Ajakagytma region (in Russian). Arkheologicheskie issledovanija v Uzbekistane 2008-2009, 7 : 199-205. H. Hoshimov, History of research about ancient flint mines in Uzbekistan (in russian). In: Uzbekiston tarihining bolzarb muattolari esh tadkikotchilar talkinida : 99-102. Samarkand.